One of the most important, but difficult, tasks of a general contractor is to ensure that every aspect of a construction project runs on schedule. An experienced general contractor understands that the more efficient a construction project progresses, the less chance there will be for complaints by the property owner, and the greater chance for on-time payments pursuant to the construction contract. Accordingly, an experienced general contractor has the ability to develop a construction schedule that anticipates as many contingencies as possible. However, if there are delays, it may be necessary to take legal action to compensate for any damages suffered, or even to defend against a legal action for delay, and retaining the services of an experienced Florida construction law attorney is crucial to either strategy. In a complicated situation, a group of activists have been so far successful in delaying the construction of the Atlantic Coast Pipeline, resulting in over 4000 jobs and over $2 billion in economic activity lost, as well as increased energy rates for millions of individuals. A discussion of construction delay basics, and what is necessary to prove a delay case, will follow below. As illustrated by this article about the ongoing delays associated with the renovation of I-4 near Orlando, construction delays, especially on a public works project like this, will affect not only the general public, but also the projects organizers and the general contractor and subcontractors. The organizers, FDOT and, ultimately, taxpayers, are potentially on the hook for nearly $100 million in cost overruns, while the construction workers are currently being forced to work under the terms of the original contract, without any extensions or financial considerations. Delays by the developer or property owner in receiving permits. Whether the delay is quantifiable. Unfortunately, even if the above factors are shown, a delay claim may fail because the asserting party is not able to prove that it was operating in accordance with its contractual obligations every step of the way, needed to maintain “unclean hands.” That is, the one asserting the delay claim must be free of responsibility for any aspect of the delay. Accordingly, thorough recordkeeping is paramount, as well as recording any delays, as well as a written indication of the reasons for the delay. An experienced construction law attorney can help to ensure that this recordkeeping is legally supported. If you are involved in a delay to your construction project, contact an attorney experienced in construction law as soon as possible. 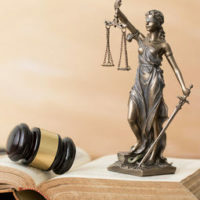 You have a vested interest in ensuring that you have adequately collected the evidence necessary to prove the delay was not only unattributable to your actions, but also, if compensation is demanded, inexcusable on the part of the other party. The attorneys at Linkhorst & Hockin, P.A. have years of experience dealing with construction contract disputes, including delays. We will review the circumstances of your case, and help you plan the most effective strategy to obtain that compensation. Contact our Jupiter office today.